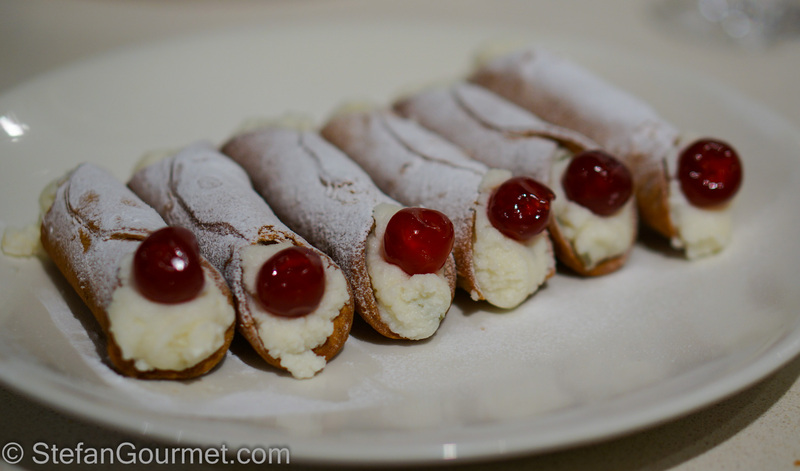 Cannoli are Sicilian tubes of deep-fried pastry stuffed with sweetened sheep’s milk ricotta. Traditionally they were prepared for carnevale, but nowadays they are prepared year round and not just in Sicily. The stuffing can be enriched with chocolate chips, candied fruit, or nuts such as pistachios. I served them as dessert for Christmas this year. Cannoli are made with sheep’s milk ricotta, as there are few cows in Sicily and mostly sheep. Outside of Italy it can be difficult to find sheep’s milk ricotta. 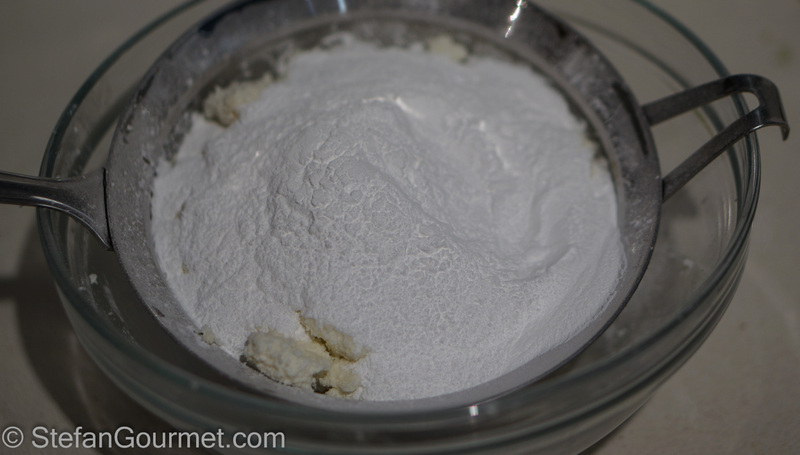 Since it is easy to make homemade ricotta, I decided to try to find sheep’s milk instead. Of course you can substitute with cow’s milk ricotta, which will not be traditional but good all the same. 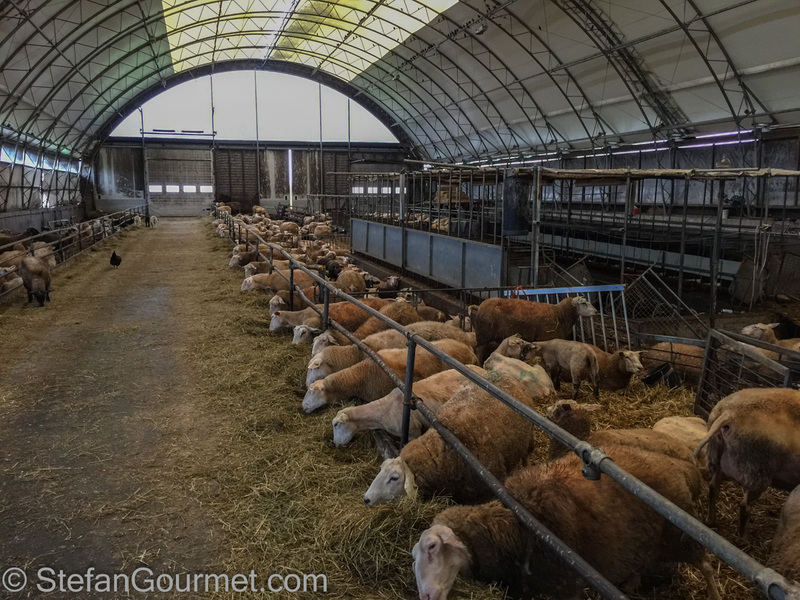 In the Netherlands we do have sheep, but mostly for their meat (lamb, not mutton). There are only a few sheep dairy farmers, and that milk is mostly used to make cheese. But I managed to find a sheep dairy farmer at ‘only’ 60 miles away and so I went home with 4 litres of fresh sheep’s milk to make my own sheep’s milk ricotta! Back home I turned this into ricotta, which is an easy process that I described before in more detail. 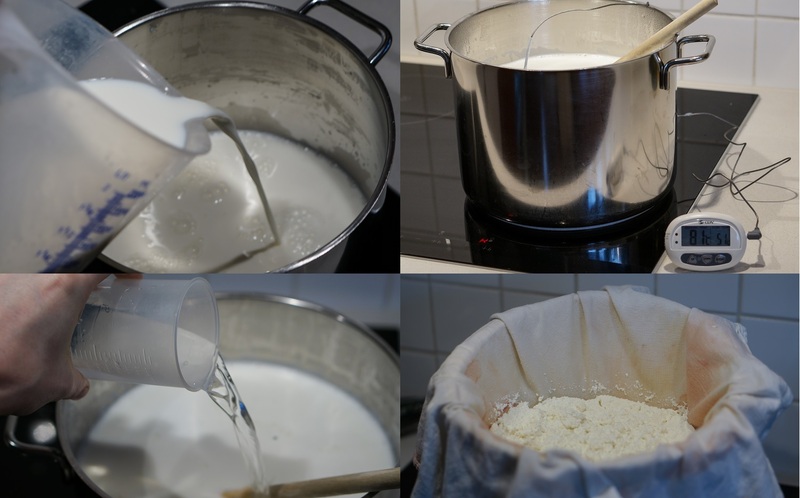 It comes down to heating the milk to 80ºC/180ºF, adding 30 ml (2 Tbsp) of distilled vinegar per litre (1.05 quart) of milk, stirring, allowing the milk to curdle for two hours, and then allowing to drain in a cheese cloth for two more hours. Each litre (quart) of sheep’s milk will get you about 250 grams (1 cup) of ricotta. The sheep’s milk ricotta had a very elegant taste, less pungent than I had expected, and I thought the texture was a bit too dry. So I added back a bit of the whey that had drained from it, and processed it in the food processor until it had the right consistency. For real Sicilian cannoli you need another ingredient that is not common everywhere, which is lard (strutto in Italian). Lard (reuzel in Dutch) is simply rendered pork fat and should not be confused with Italian lardo (cured fatback, similar to pancetta and guanciale but mostly fat with hardly any meat). If you can’t find lard, you can simply make your own by buying fresh pork fat and rendering the fat from it. 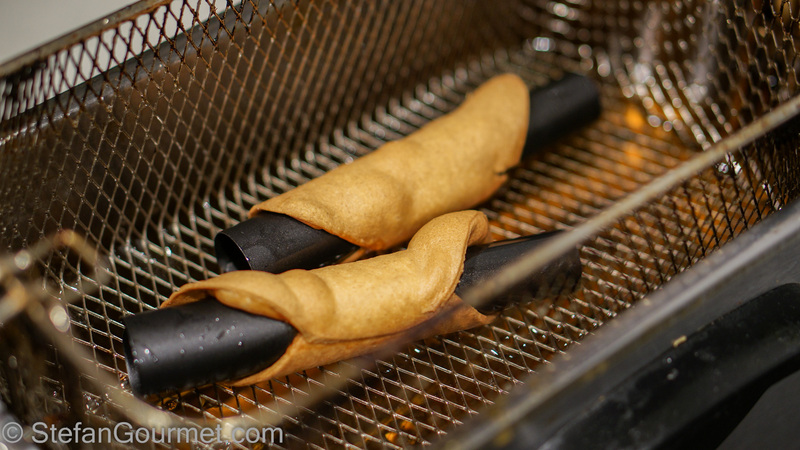 Original cannoli need lard for both the dough and deep frying, but nowadays the deep frying is often done in vegetable oil. 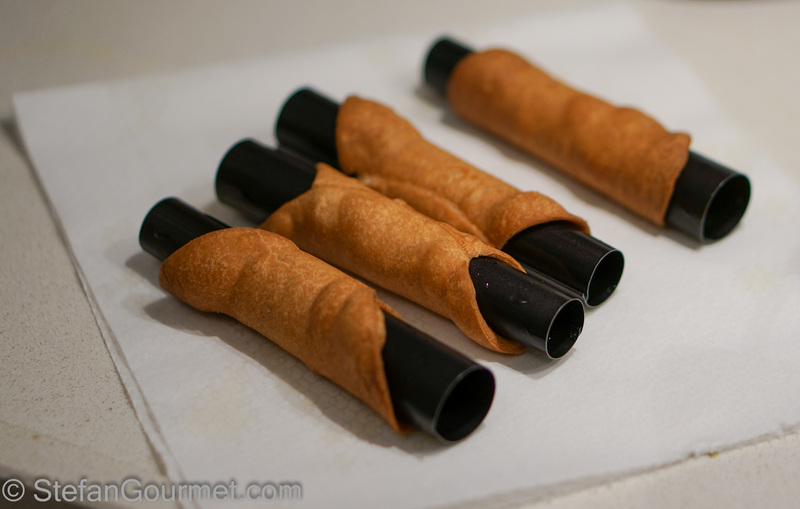 Finally, you will also need metal tubes as shapes for the cannoli (“cream bun tins”). They should be about 13 cm (5 inches) long and have a diameter of about 2-2.5 cm (1 inch). 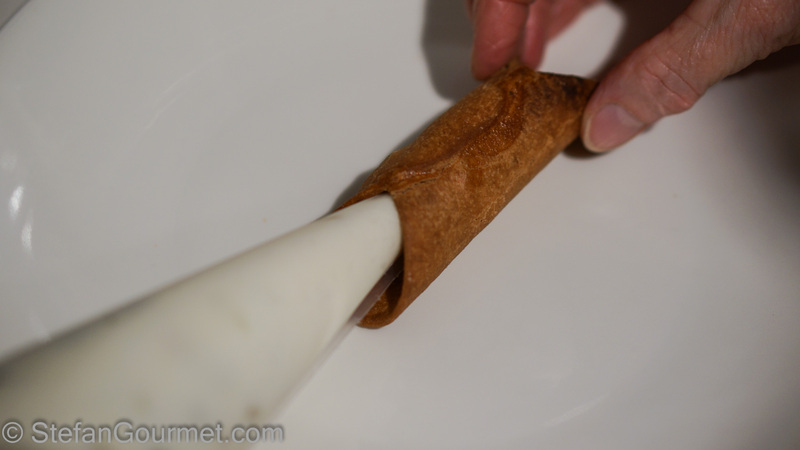 A non-stick coating and a slightly conic shape will make it easier to remove the cannoli once they are fried. 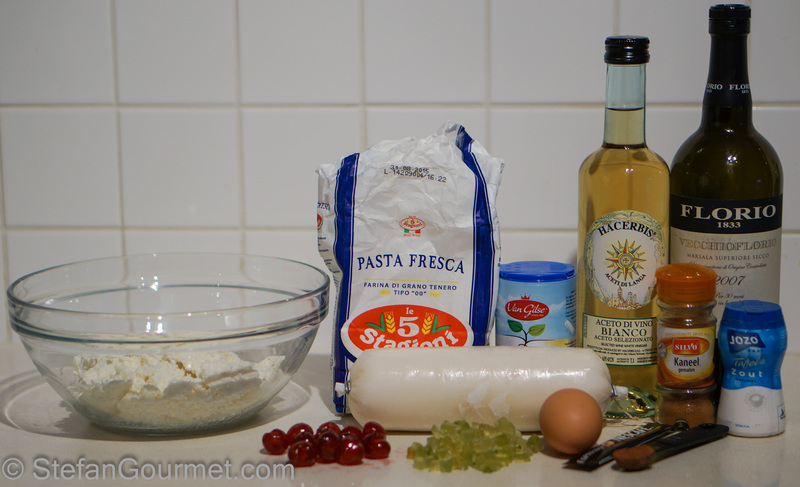 And now the recipe for the cannoli, which I have based upon GialloZafferano. Sicilians have a sweet tooth. If you don’t like desserts to be very sweet, reduce the amount of sugar to be mixed with the ricotta. 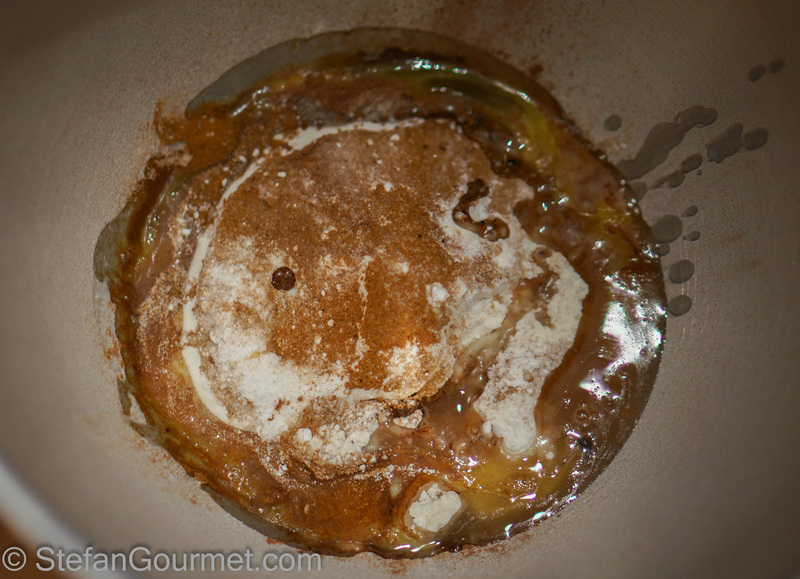 Combine the flour, powdered sugar, cinnamon, espresso powder, salt, cocoa powder, beaten egg, marsala, and vinegar in the bowl of a stand mixer. Mix with a paddle attachment until the dough comes together. 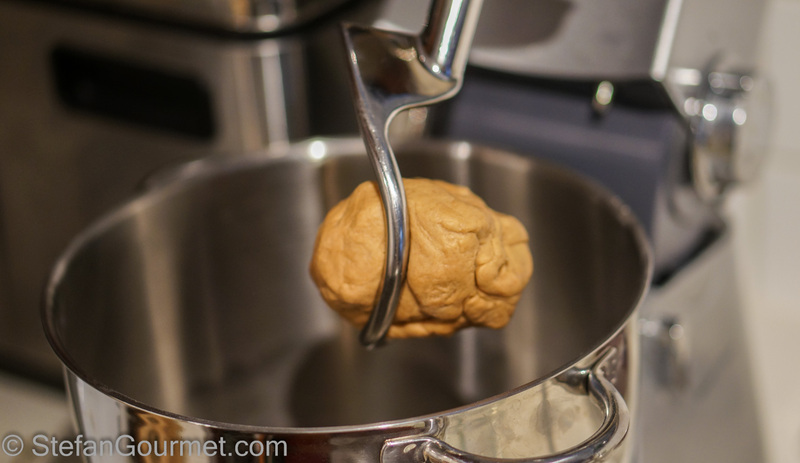 The dough should have the same consistency as fresh pasta dough. 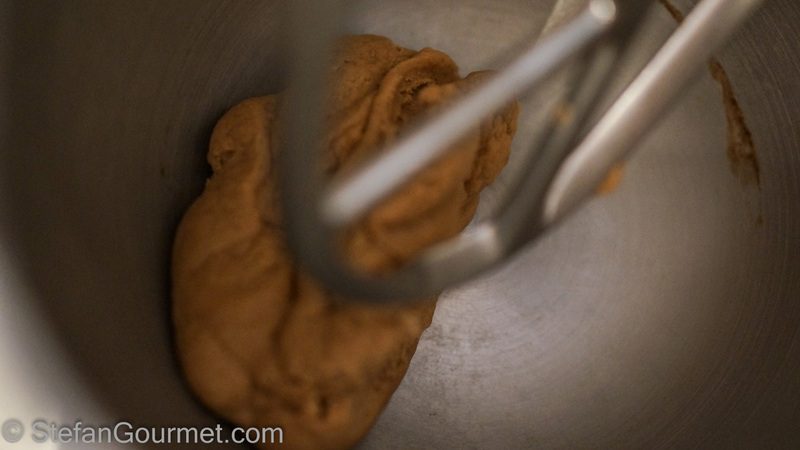 Add a bit more flour if the dough is too wet and sticky or a bit more marsala if the dough doesn’t come together. Switch over to the dough hook and knead for 5-10 minutes or until the dough is smooth and elastic. 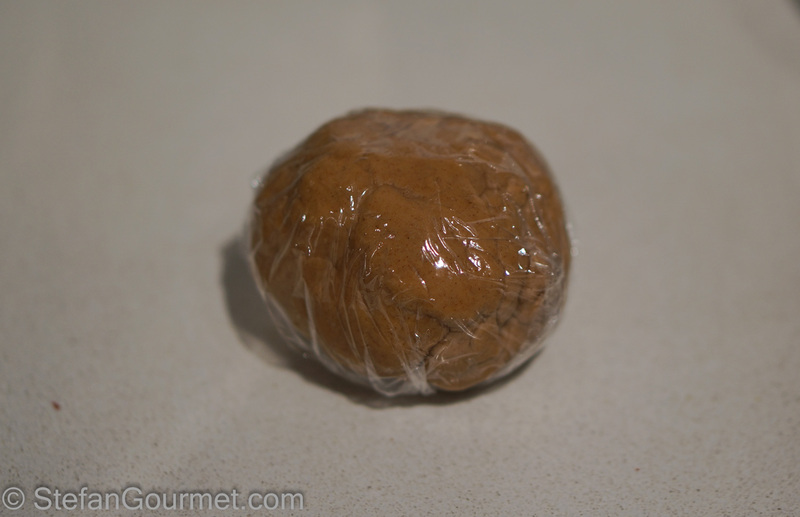 Wrap the dough in plastic film and refrigerate for half an hour. 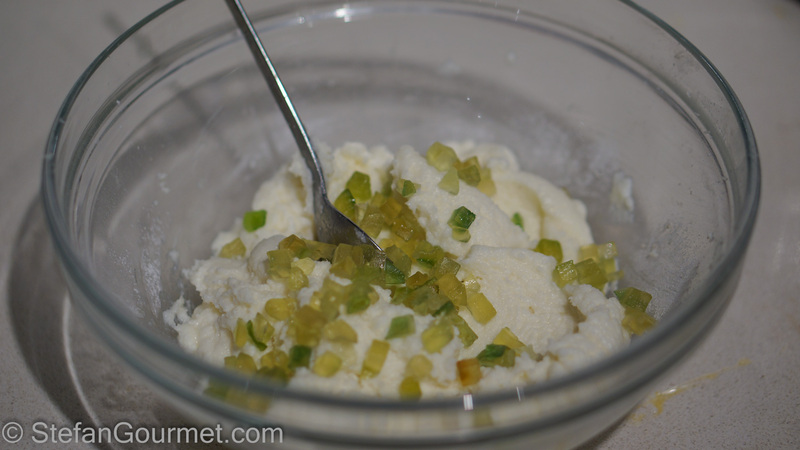 Add the candied citron or chocolate chips to the ricotta and stir to mix. 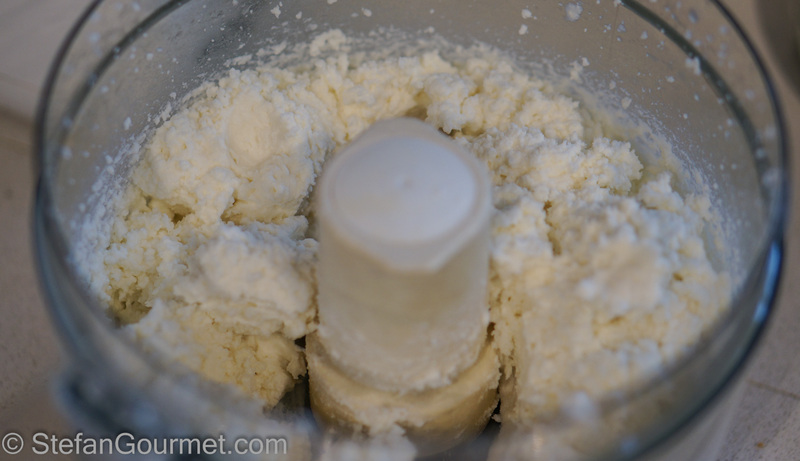 Transfer the ricotta to a piping bag and refrigerate until needed. 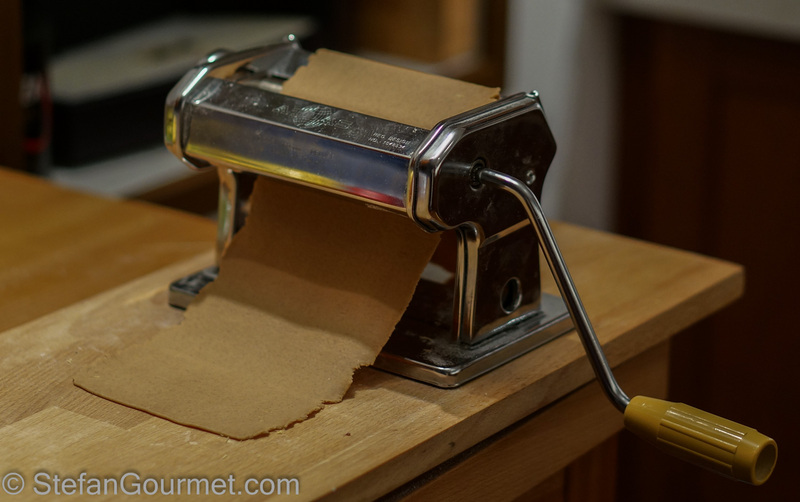 Once the dough has rested, roll it out like fresh pasta dough. 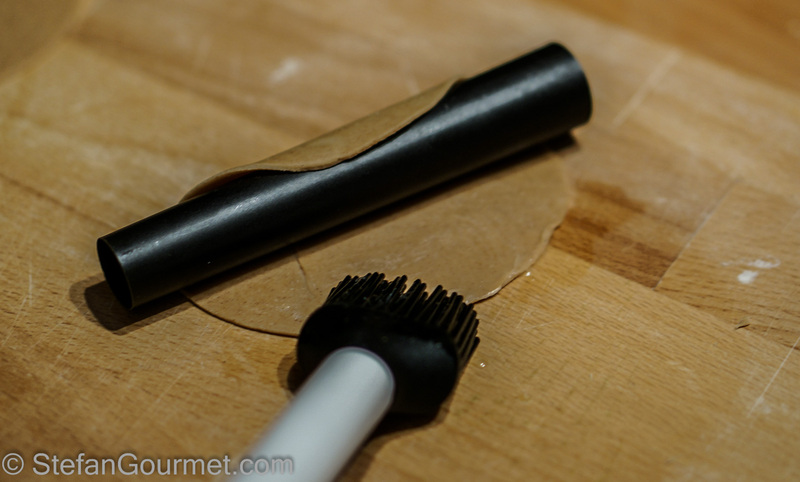 On my pasta machine with 1 the widest setting and 9 the thinnest, I roll it out to setting 6. Cut out circles with a diameter of 10 cm (4 inches) with a cookie cutter or similar tool. Stretch each circle into an ellipse with your hands or a rolling pin. 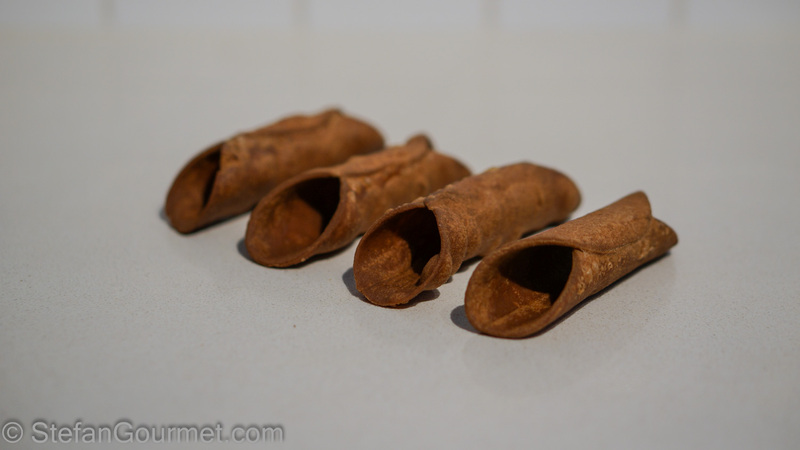 I used only 4 tubes, as they cool off quite quickly so you can re-use them. 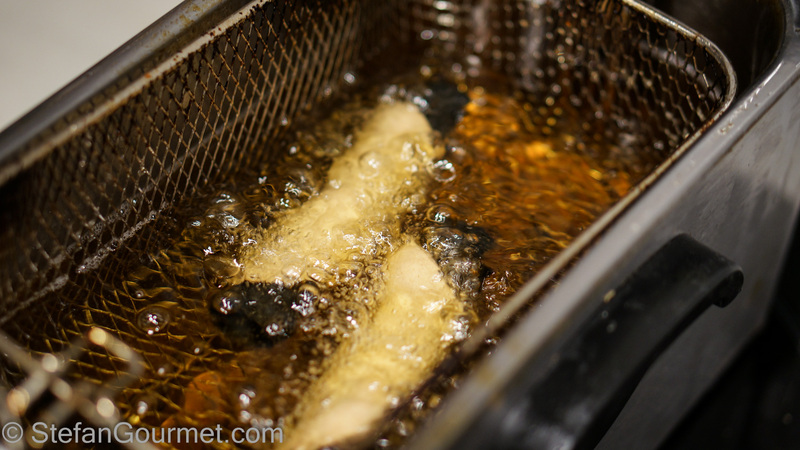 Deep fry in lard or vegetable oil at 175ºC/350ºF for about 3 minutes. 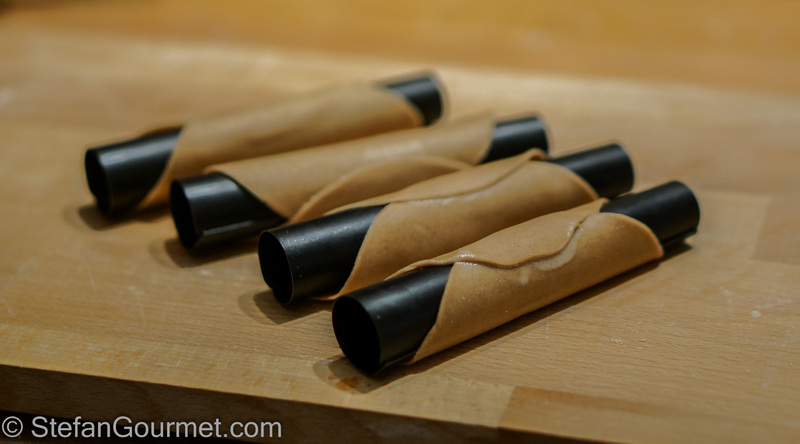 When lifting the pastry tubes out of the oil, make sure to tilt a little to allow the oil from inside the tubes to drain. 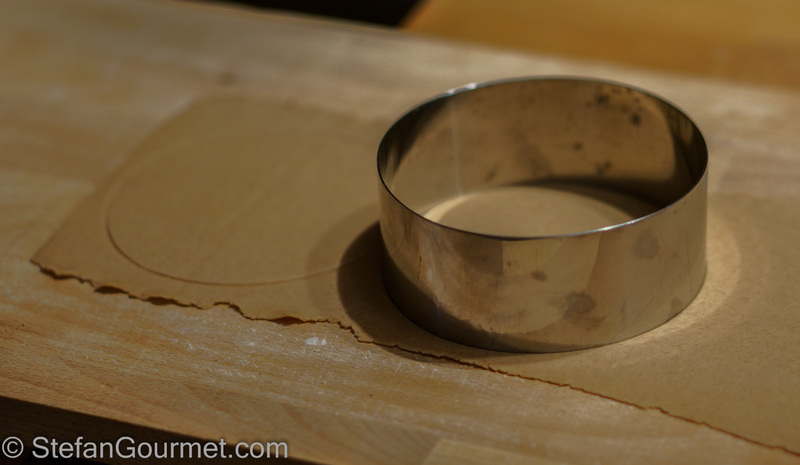 To remove the metal tubes, hold down the tube with one hand while lifting the pastry with your other hand. Do this carefully to avoid breaking them. Allow the pastry rolls to cool to room temperature, then store them in an airtight container until it is time to serve them. Fill the cannoli only at the last minute, as the filling will make them soggy. Ask someone to hold the cannoli while you fill them. Garnish the cannoli with a candied cherry and powdered sugar. A Sicilian moscato passito is a fitting choice that works well. A quiche is a savory pie with a custard-based filling. Lorraine is a region in north-east France that has mixed German-French history and is called Lothringen in German. There are three types of quiche: Lorraine: with bacon (lardons) only, Vosgienne: with bacon and cheese, and Alsacienne: with bacon, onions and cheese. What is often served as Quiche Lorraine is actually Quiche Alsacienne. Beautiful! The lard is interesting. Do you think it makes the filling more creamy? The lard is not in the filling but in the pastry (and could also be used to deep fry the pastry). It provides both flavor and crispiness. I suppose it could be added to the filling, too, but as lard is solid at room temperature, I suspect it would make the filling more ‘stiff’. oh my gosh I definitely misread that! Hahahaha!